Ernst Schliephake was born in 1962. At the age of seven he was already a state prize-winner in the category violin at the young people’s music competition “Jugend musiziert”; the following year he achieved the same result with the clarinet. He was taught by Klaus Speicher and Heinz Hepp (violin and clarinet) and studied the violin in 1979 with Prof. Lukas David in Detmold, working as his assistant between 1983 and 1985. Aside from playing the violin in Tibor Varga’s chamber orchestra, he also played many chamber concerts with him, predominantly as a clarinettist. A master-class with Ruggiero Ricci 1981, led to an intensive collaboration and friendship. 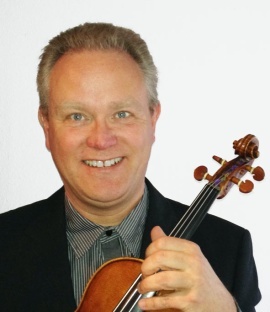 Since 1986 he has been a violinist with the Düsseldorf Symphony Orchestra, the Bavarian Radio Symphony Orchestra and the Bavarian State Opera, and since 1989 has been the associate concertmaster with the Munich Symphony Orchestra.